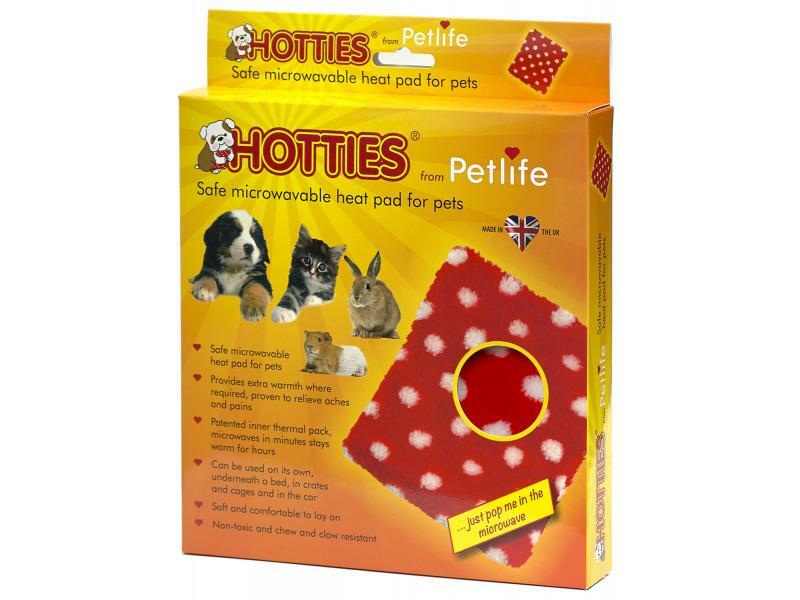 Hotties are a safe, microwavable heatpad for dogs, cats and small animals. Designed to provide extra warmth where required, proven to sooth aching muscles and joints. Can be used on it's own, under a Vetbed, in crates and cages and in the car. Heats in minutes, stays warm for hours. Non-toxic and chew & claw resistant. Comfortable to lay on. 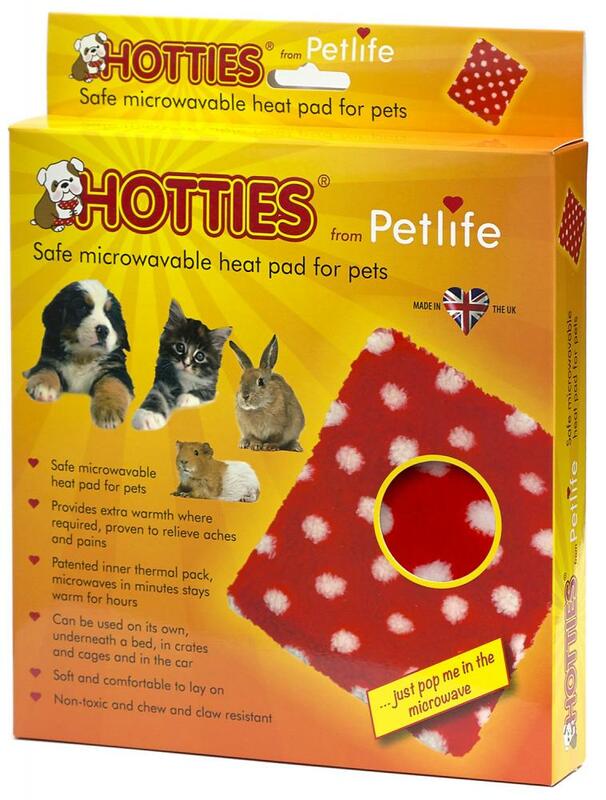 Below are some recent questions we've received regarding Hotties Microwavable Pet Warmer, including answers from our team. How long does it stay warm for , after heating it up, baring mind that it would be outside in a cold hutch? If this is going to be outside it would stay hot for approximately 2 hours.